Our doctors have played leading roles in the development, co-development or improvement of many of the modern surgical techniques currently standard throughout the world as well as pioneering holistic treatments of male sexual dysfunction and sub-fertility. In addition to the individual medical excellence, what really differentiates us is the collaboration that IA promotes between our physicians. The surgical techniques and treatments that we offer are constantly improved based on the collective experiences of our doctors which is facilitated through continuous training and advanced data capture and analytical systems shared across all our practices. Difficult cases are reviewed collectively and we will always aim to arrange for our most specialist doctors to lead these. Dr Drettas has seen more than 1500 male patients per year and performed more than 300 complex uro-genital operations. Dr. Petros Drettas graduated from the University of Athens in 1995. He completed his Urology Specialty in the Urology Clinic of the Red Cross General Hospital in Athens in 2002. 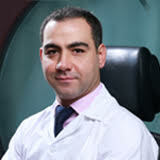 Dr Khalil Serhan graduated from the Medical School of Volgograd Medical Academy in 2002. He started practising general medicine in Lebanon before moving to the United Kingdom where he completed his foundation in Oxford University Hospital and is listed on the British Board as Medical Practitioner since 2013. He has been trained extensively by IA in Andrology and offers a holistic approach to men’s health as part of his day to day practice. 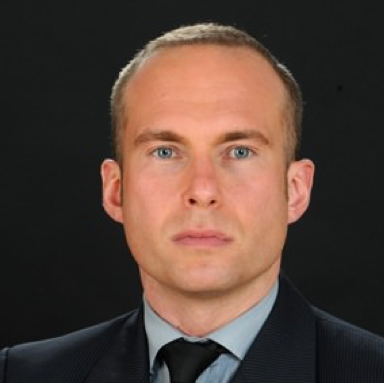 Mr Giulio Garaffa trained in Italy and the UK before being appointed as a Consultant Uro Andrological Surgeon and Honorary Senior Lecturer in Urology at the Institute of Urology, University College London Hospitals. One of the most experienced surgeons in Europe, he performs more than 300 complex reconstruction procedures every year. He is very active in the field of clinical research, Mr Garaffa has published more than 100 articles and book chapters in international journals and is regularly invited worldwide to give lectures and to perform live surgery. He is a dedicated and well-recognized trainer in Andrology and Reconstruction and he often runs international training courses for Surgeons. Dr. Christos Fliatouras graduated from the Medical School of the University of L’ Aquila-Italy in 2004. He completed his Urology Specialty in the Urology Clinic of the Saint Savvas Anticancer Hospital in Athens in 2013.